The global market is set to witness a significant growth due to the continued growth of construction and developmental activities, increasing access to electricity, and growth of renewable power generation projects. According to MarketsandMarkets report, the switchgear market is expected to grow from an estimated USD 88.71 Billion in 2017 to USD 125.10 Billion by 2022, at a CAGR of 7.12%, from 2017 to 2022. The global market is set to witness a significant growth due to the continued growth of construction and developmental activities, increasing access to electricity, and growth of renewable power generation projects. The transmission and distribution utilities segment is expected to hold the largest share of the switchgear market, by end-user, during the forecast period. The transmission and distribution utilities subsegment of the end-user segment led the switchgear market in 2016 and is projected to dominate the market during the forecast period. The transmission and distribution utilities segment is also expected to grow at the fastest rate during the forecast period. The growth of the transmission and distribution utilities segment is primarily driven by increasing investments in sub-station automation, modernisation of electric grid, and smart utilities which includes smart grids and smart meters. This would enhance the protection by decreasing energy losses due to poor operational efficiency of traditional equipment. This would ultimately create new revenue pockets for the switchgear market during the forecast period. The gas insulated switchgear is expected to hold the largest share of the switchgear market, by equipment, during the forecast period. The gas insulated switchgear sub-segment of the equipment segment led the switchgear market in 2016 and is projected to dominate the market during the forecast period. Rising energy demand and extension/replacement of old switchgear at sub-stations can drive the gas insulated switchgear equipment in the switchgear market. However, the circuit breaker sub-segment accounted for the second largest share in 2016 in the switchgear market, based on the equipment segment. 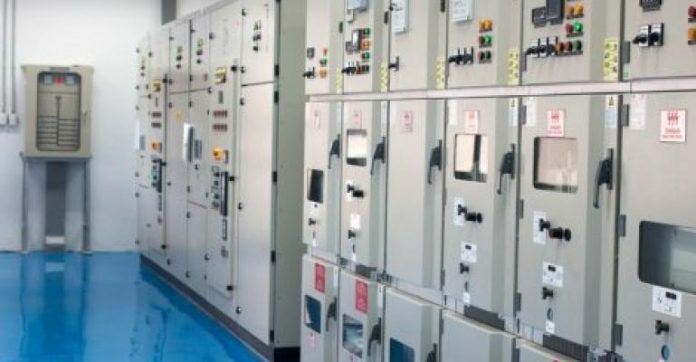 In this report, the switchgear market has been analysed with respect to five regions, namely, Asia Pacific, Europe, North America, the Middle-East and Africa, and South America. The market in Asia Pacific led the global switchgear market in 2016. Increasing grid investments especially in developing economies, such as China and India and plans for electrification in remote areas in countries, such as Vietnam, Indonesia, and the Philippines are expected to drive the switchgear market in Asia Pacific. Indonesia aims to achieve 90 per cent electrification rate by 2025 and the countries, such as the Philippines and Malaysia have similar plans. Rise in investments in smart grid technologies including distribution grid automation, smart meters, and demand response systems in countries, such as Japan, South Korea, and Australia would create opportunities for the switchgear market in the Asia Pacific region. To enable an in-depth understanding of the competitive landscape, the report includes profiles of some of the top players in the switchgear market. The key players include ABB Ltd. (Switzerland), General Electric Company (US), Siemens AG (Germany), Eaton Corporation plc (Ireland), Hitachi Ltd. (Japan), Schneider Electric SE (France), and Mitsubishi Electric Corporation (Japan) among others. The leading players are trying to understand the markets in developing economies and are adopting various strategies to increase their market shares.